Sarah concentrates on complex real estate transactions, assisting attorneys on industrial and commercial property matters, including the review and analysis of contracts, loan commitments, title and survey documents, and correspondence regarding transaction specific terms and conditions, as well as the examination of due diligence materials and preparation and review of closing documents. Her experience includes more than a decade as a Commercial Real Estate Paralegal in both small and large Chicago law firms. 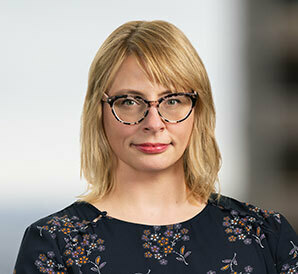 Sarah received her B.A., from State University of New York at Buffalo and completed the American Bar Association Certified Lawyer's Assistant Program at Roosevelt University, with honors, in 2003.